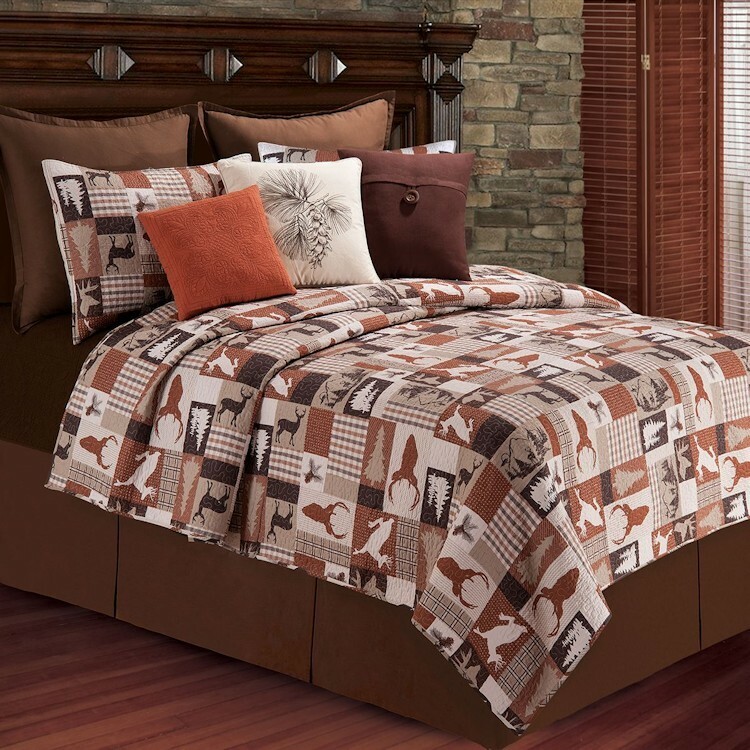 The Deer Hunter Quilts feature a wildlife deer theme. Silhouettes of deer are interspersed with other nature theme blocks and plaids. Predominate colors are brown, terracotta and beige. 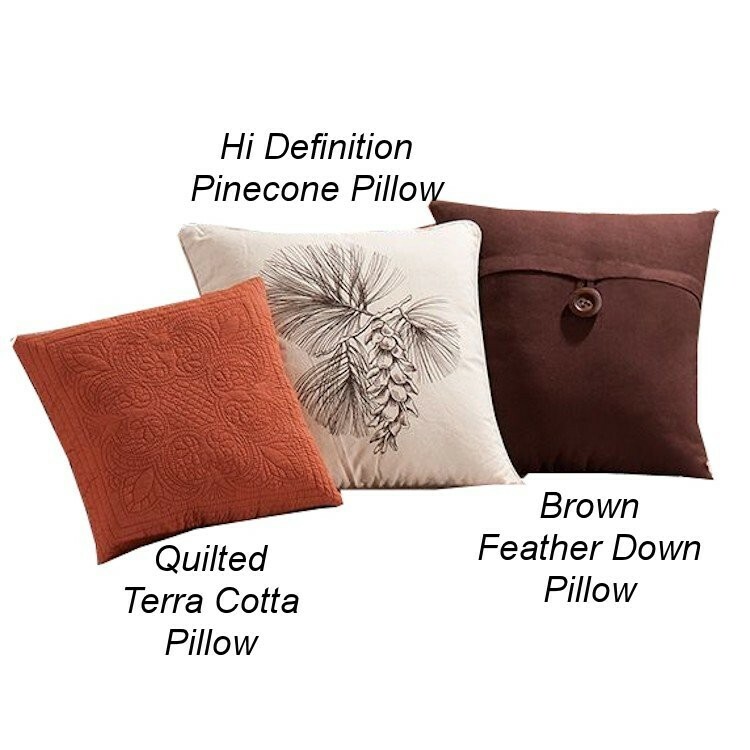 Coordinating Shams, Dark Brown Bedskirt and a variety of Pillows will help you create a complete look in your room.